It’s a community of sorts. Loosely knit, perhaps, but the armada of sailors and cruisers that descends on St. Mary’s towards the end of November each year is every bit as much a family as most of those with blood ties. It’s Thanksgiving that brings this marine family together in a little town on the river between Georgia and Florida. It’s a time to share stories, good times and good drinks. They arrive each year. They come “home” for the holiday. St. Mary’s residents have been hosting this gathering for Intracoastal Waterway voyagers since 2001. This year, it begins the Saturday before Thanksgiving, and ends with a pancake breakfast the following Friday. There are other events over the weekend and some of the vessels stay on for a few days. 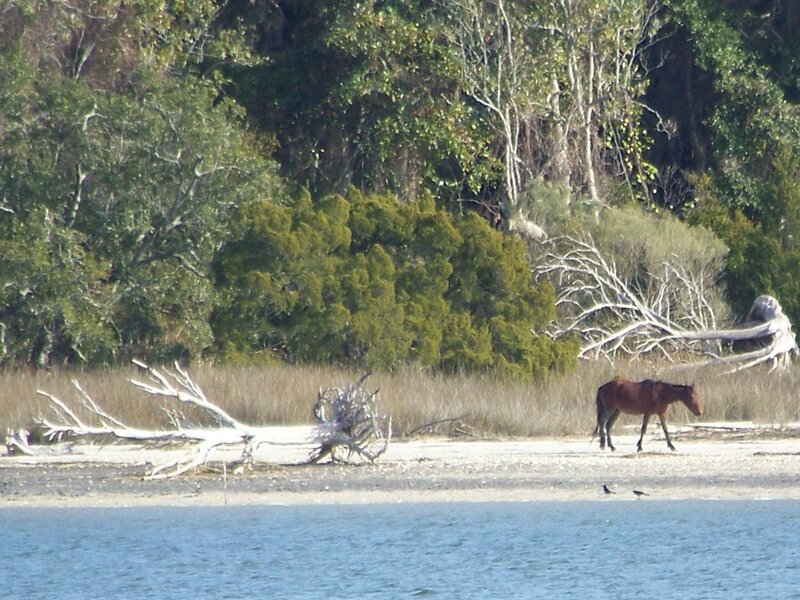 Cumberland Island is nearby; there is much to see and do. There is a camaraderie that is natural and unforced. The week’s activities center around the Riverside Hotel and its Seagle’s Restaurant and Saloon. Boaters and townspeople mingle at happy hour, enjoy a chili cook-off and consume dozens of oysters at a Wednesday afternoon free roast. They drink coffee and other libations, exchange anecdotes and tell tall tales. Townspeople come to the harbor to meet the “boat people.” They offer “restocking” rides to nearby grocery stores and gift shops and they renew old acquaintances. They come to ask questions about the boats, to hear stories of adventure, to marvel at the hardiness (or the folly) of those who choose the sea over the comforts of land-based homes. Children view the boats with wide-eyed wonder. Those who arrive early find dock space. Those who come later pick up moorings or drop anchor. There seems always to be enough room. Those who travel the Intracoastal Waterway routinely plan their voyages with a St. Mary’s Thanksgiving in mind. Others happen on the celebration by chance. Still others hear of it, and can’t resist the urge to see if it’s true. It does not disappoint. Thanksgiving festivities begin along the docks, and drift into town each day. 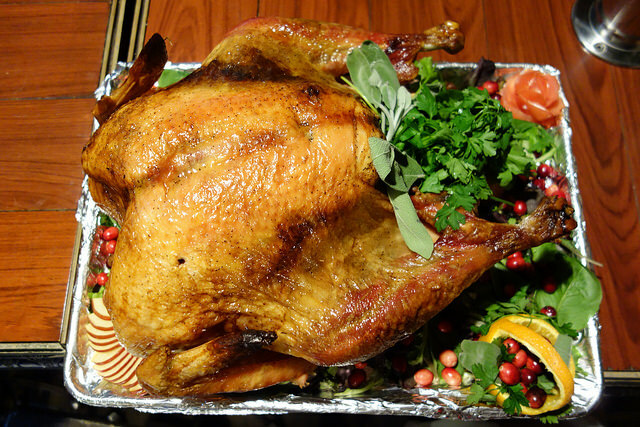 On Thursday, local resident volunteers arrive in the morning with home-cooked turkeys and hams. 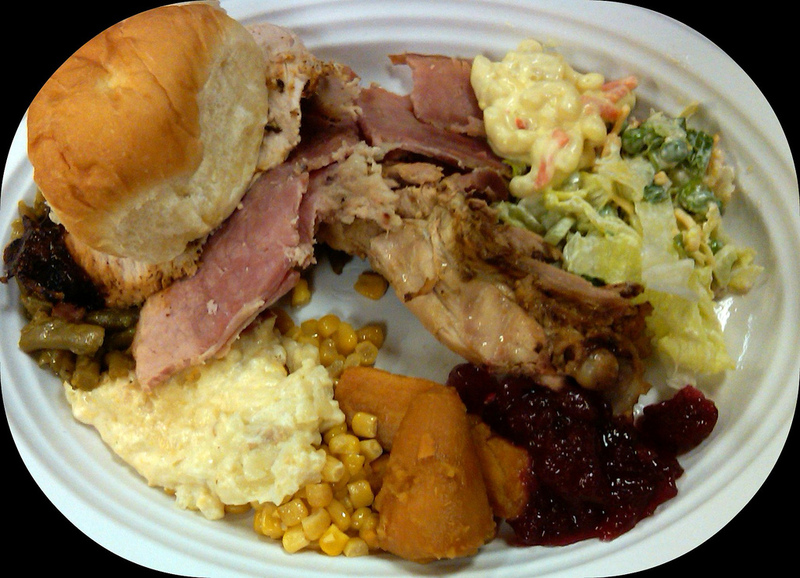 Side dishes, salads and desserts appear as if by magic, contributed by the boating community. Dinner is served buffet style, beginning just after noon, and it continues until the food disappears. There always seems to be more than enough — of food and friendship. We pulled in at dusk: It had been a long and chilly journey. But fellow cruisers along the waterway had told us it was worth the effort. 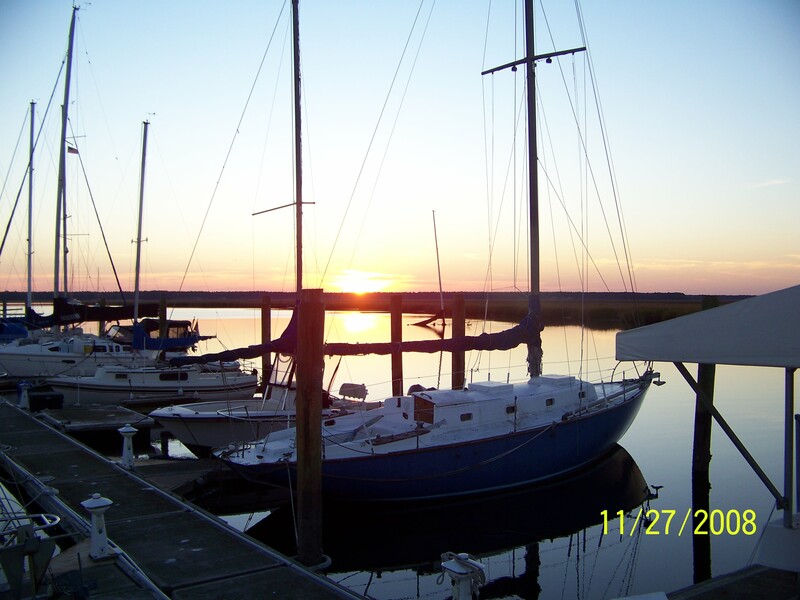 November is somewhat late for pleasure boats to be traveling on the Intracoastal Waterway, but 2008 was relatively mild, and we encountered few problems other than the loneliness of being alone for Thanksgiving. How quickly that changed. Although we have not returned, we think of that special Thanksgiving often. It was, indeed, memorable — an event out of all proportion to the size of the town. We filled our stomachs. The experience filled our hearts. Even old salts find solace in planting their feet firmly on the ground on occasion. This holiday in this town, with these special people, is a unique and lasting gift. 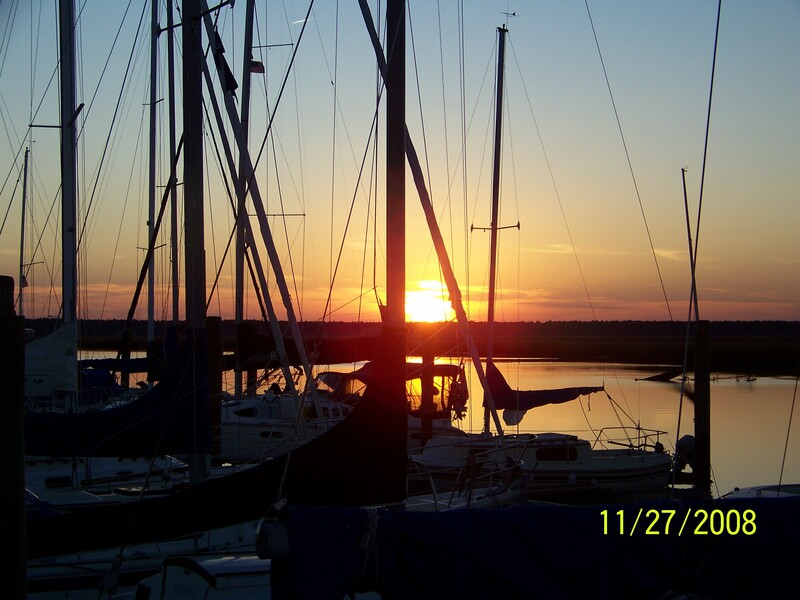 All boaters travel on, but they leave satisfied, awed and thankful. For more information on St. Mary’s, visit the city’s official website.